them dynamic and interesting sites for viewers to explore. Each site has a story to tell. 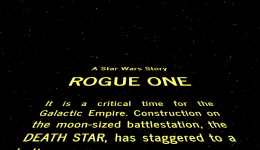 An effective design and implementation will invite users to become part of the story. 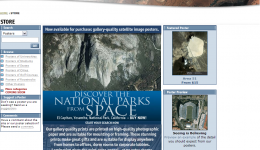 The store provided customers the ability to order posters of national parks, landmarks, cities and special areas, such as Area 51. 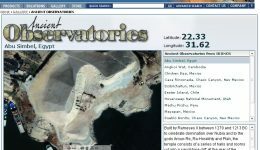 Space Imaging’s Ancient Observatories feature allowed users to explore sites from around the world. 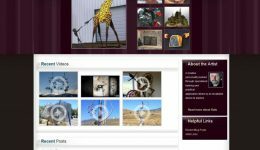 Montagne Studio features slideshows, YouTube features and other social media mechanisms to help promote this Colorado-based sculptor. Arriba Mi Negocio needed to be informative, multilingual, easy to update with an online store. 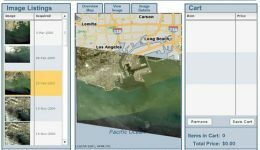 GeoEye’s FeatureFinder provided an easy and quick way to find all imagery related to a certain geography. 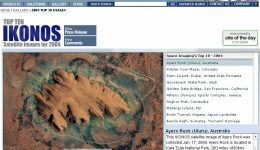 National Park Trips Media, seven websites built with the same custom WordPress theme and with custom plugins. 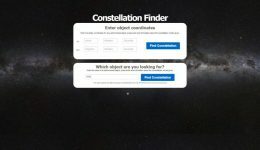 I picked WordPress to develop SkyWatchers. 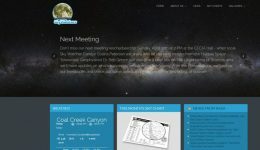 The site needed to inform the public of upcoming happenings in the sky and meetings. Customized Nutrition and Exercise wanted a new look and an ability to post recipes for their customers. 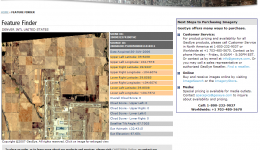 MapPOD created an easy-to-use display and purchase mechanism for the expansive archive of Space Imaging/GeoEye. CanyonCares wanted a site that was easy to update, could integrate social media and drive some fundraising. Harmonic Media wanted a dynamic front page experience. Managed social media and SEO optimization. 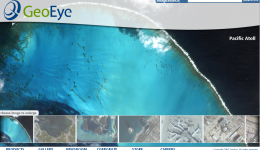 High-resolution satellite imagery was on display in this zoomable feature for Space Imaging. Stories have place and this site tracks that movement with a long-term goal to allow users to add their own books. 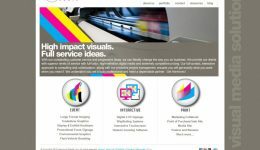 GeoEye turned to me to create an attractive and informative website. In addition to the look and functionality of the site, my tasks included spearheading a geocoding and mapping extension to the site. 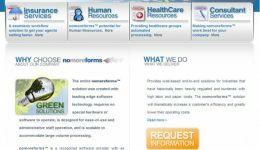 GenerationsDNA custom brochureware site with a powerful and secure backend.